Hello and welcome to ExamPundit. Here are the Cut-offs of NIACL AO 2015 Generalist shared by our very own Gaurav. 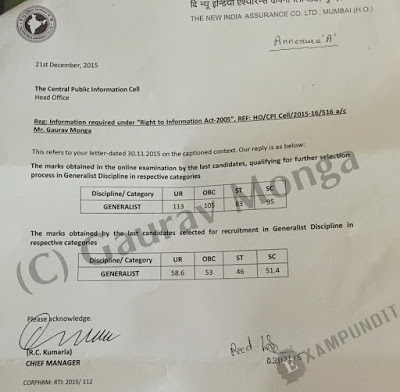 He received the cut-offs following an RTI submitted by him.